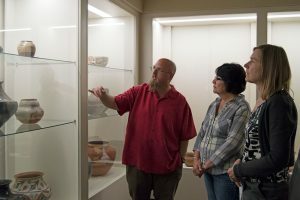 Matthew Barbour, Regional Manager of Historic Sites New Mexico, spent a day at the museum sharing his expertise on the pottery collection at the museum. I was able to acquire additional information for the artifact data sheets. Little by little the blanks are starting to get filled in. 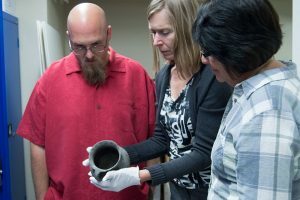 It’s a wonderful to see a story evolve for each of the artifacts.